Michelle is our teams Operations Manager with responsibilities in our marketing campaigns, document preparation, and team organization. Prior to joining MIT, Michelle has a strong marketing background, which included Chic-fil-A, Texas Schools Risk Managers Association, and several local media outlets. These positions provided the background and expertise to promote our properties and brand. Scheduling, data entry, meeting vendors and buttoning up loose ends is just a small part of the job Michelle dedicates to our clients. Michelle is a 9th generation Texan and resides here in Dripping Springs with her husband Todd. Her three children have all graduated Dripping Springs Tigers. Her oldest, Logan is in Neuro-medicine, middle son Tate is an AST (Rescue Swimmer) in the United States Coast Guard currently stationed at Puerto Rico and her youngest daughter, Kendall, is pursuing a degree as an Esthetician and models professionally. 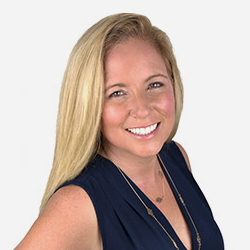 Michelle is also a staff officer in the Coast Guard Auxiliary and a founding member of Dripping Springs Elite Real Estate Professionals.